This is basically the same motor as the standard B82 motor, but has more torque and a slightly different 3/4″ output shaft. 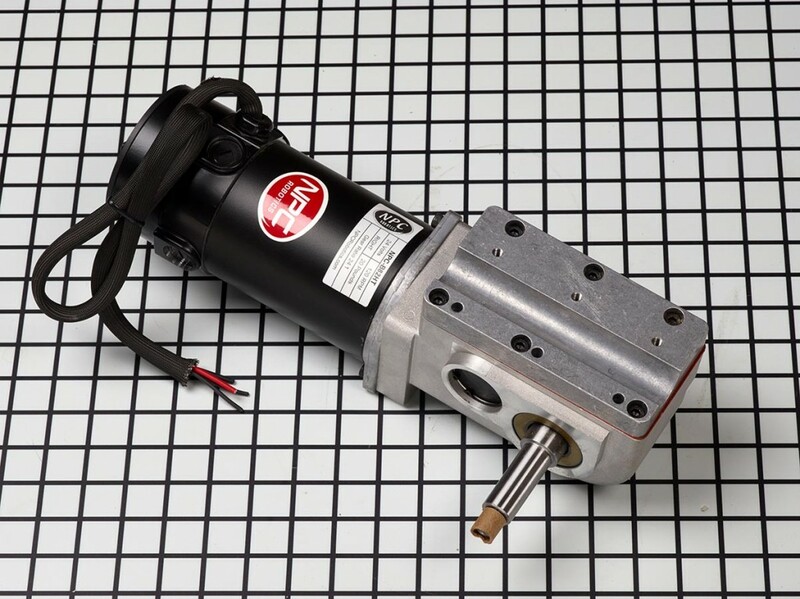 These motors come standard with an electro-magnetic 24v parking brake, which can easily be removed if that function is not necessary. Built for continuous 24 volt 20 amp duty, they can be run at 36 volts for 5 minutes, adding about 50% more speed and torque. This motor comes in either left or right side shaft drive configurations, and makes a great drivetrain for a large robot. B82 is shown here.